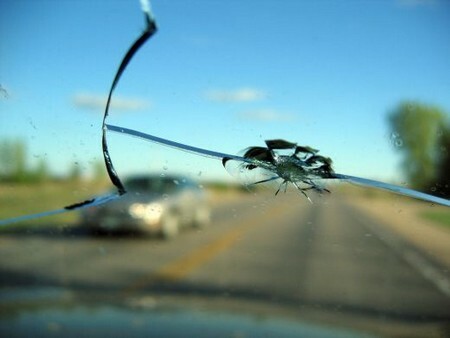 Are you driving a vehicle with a chipped windshield? This may be a message from the Universe, pointing out that your beliefs about life are not in sync with the life you truly want to create. A windshield is the window of our vehicle through which we see the road ahead. Like all windows, it symbolizes our perspective It symbolizes how we see our personal journey, and is affected by our beliefs about the world outside and our relationship to it. A sudden chip indicates the arrival of an opportunity that will test a forgotten belief, one that needs to be brought into your awareness and adjusted. The smaller the chip, the less obvious and serious the belief is impeding you. However, if that chip starts to expand and the crack spreads...the situation could be getting more serious. For example...someone (with a chip in their windshield) may have a belief that its better to keep their opinions to themselves and this belief may cause them to keep opposing viewpoints from others. Perhaps they have learned this, when as a child, they were punished or laughed at for having a differing opinion. The holding in of their opinion may save them from having arguments or conflict with others externally, but it doesn't actually create peace. When their tendency to keep their truth inside will begin to create serious problems for them, that chip may suddenly become a crack. A crack across the top of the windshield could represent feeling disconnected from Source, your spiritual connection with life and the benevolent help of the Creator. There could be a negative view about life, the feeling that the world is a difficult place and perhaps even that God has forgotten you. You may feel disconnected from your ability to visualize something better. A crack across the middle of the windshield, that obstructs your view somewhat or cuts the view in front of you in half, indicates that your misplaced beliefs about yourself or life are probably obvious to you and most of the people in your life. You just may not be ready to change them yet. You might believe that doing what you need to do for yourself, you may be hurting or inconveniencing another. Since the inside and the outside are direct reflections of each other, examine the reasons why you haven't yet replaced the windshield. Your answer to that question might shed some light on what beliefs may be currently limiting your happiness right now. A crack along the bottom of the windshield indicates that whatever beliefs are limiting you, they have been there most of your life and were probably inherited from family. They may seem less obvious to you because in your perspective, this is just the way that life is. How you view your potential may be limited without you even being aware of it. You may just be experiencing life as mediocre, but have no idea how to make it better, or even that it gets any better than this. By fixing your windshield, you are putting into motion opportunities for the Universe to change your perspective through situations, people and events that will be drawn to you. Its up to you to choose to see things as you always have and do what you always do, or dare to think and act differently. Makes sense, thank you. I had two chips just outside my peripheral vision for quite some time. 1 has just decided to crack along the bottom and center. Your description fits(crack along the bottom)and replacing the windscreen also fits as I am embarking on Mastery level Reiki which does require clear vision. I just cracked my windshield from the inside...by the end of the day the crack had spidered out so that it's now entering into my line of sight. Timely message for me, as well. I parked my company car with the valet parking at Barneys. When I got it back, they told me it had been an incident while they parked. The entire back windshield is shattered leaving almost the entire window open. Weird!